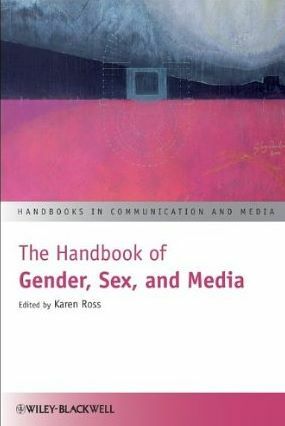 Karen has written extensively on the relationship between women, politics and media, gender and media, and the media and the public. She has authored/co-authored numerous books and edited collections as well as many journal articles and conference papers. Karen is also the foundational editor of the Blackwell journal, Communication, Culture and Critique, which launched in March 2008 and sits on the editorial board of a further 6 six journals. Her broad research interests include the gender/media/politics nexus, new directions in audience research; relations between the media and the public; and gender and media. Her latest book is Gender, Politics, News (2017) – see cover below. A small collection of Karen’s recent journal articles are listed beneath – click on the titles for links to the abstracts. For more information about Karen’s research and publications visit the CV page: to view her publications which are available on Amazon click here. It’s the way I tell ’em: car crash politics and the gendered turn. Karen Ross (2017) in Einar Thorsen, Daniel Jackson and Darren Lilleker, eds. UK Election Anlaysis 2017: Media, Voters and the Campaign: p80. Bournemouth/PSA and CSJCC. X marks the spot but the Ys have it: referendum coverage as a boys’ own story. Karen Ross (2016) In Dan Jackson, Einar Thorsen and Dominic Wring, eds . EU Referendum Analysis: Media, Voters and the Campaign: p51. Bournemouth/PSA and CSJCC. Women in decision-making structures in media. Karen Ross (2014) In Aimee Vega Montiel, ed. Media and Gender: A Scholarly Agenda for the Global Alliance on Media and Gender: 37-40. UNESCO/IAMCR. Women in media industries in Europe: What’s wrong with this picture? Karen Ross (2014) Feminist Media Studies 14(2): 326-330. Face to face(book): social media, political campaigning and the unbearable lightness of being there. Karen Ross and Tobias Bürger (2014) Political Science, 66(1): 46-62. Karen Ross et al. (2013) International Journal of Press/Politics, 18(1):3-20. Karen Ross and Margie Comrie (2012) Journalism Studies, 13(8):969 – 984.